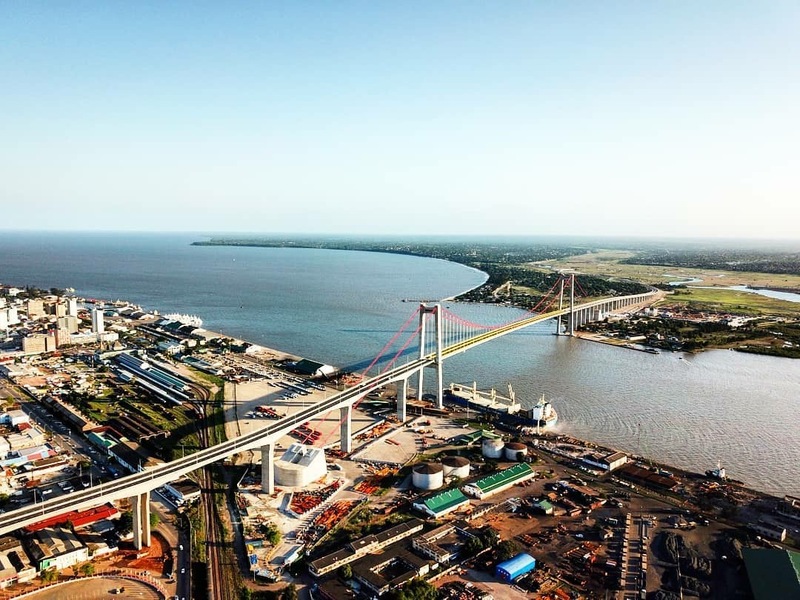 The opening of the spectacular Maputo-Catembe Bridge on 10th November 2018, the largest suspension bridge in Africa and one of the 60 largest in the world, will bring major change for visitors keen to explore the rare, untouched stretches of coastal wilderness in Southern Mozambique. Thanks to the new Maputo Bay river crossing and a new tarmac road the transfer from Maputo International Airport to White Pearl Resort (www.whitepearlresorts.com; +27 (0)11 026 7178), a private and exclusive beach hotel located 100km south of the capital Maputo, will be shortened from a bumpy 5-hour ride on muddy dirt roads into a cushy 90-minute drive, making White Pearl the most accessible luxury beach resort in the country. This new access, combined with the availability of 30-day tourist visas on entry, means a Mozambican tropical beach holiday has never been easier. The coastal region southeast of Maputo, which includes Mozambique’s most southern national park, is set to become the hottest beach destination in southern Africa. The new infrastructure will also link Maputo with the South African province of Kwazulu-Natal. The new road comes at a time as the region is being developed for tourism. Rolling a bush and beach break into one, White Pearl Resort not only offers unique ocean-based adventures such as diving and ocean safaris but also game drives at the adjacent Maputo Special Reserve, a spectacular wetlands and coastline biodiversity hotspot and the newest wildlife destination in Mozambique. Guests may enjoy the raw natural beauty of a pristine piece of paradise: see elephants and hippos, swim with wild dolphins in their natural habitat, witness endangered loggerhead or leatherback sea turtles or see majestic whales on their annual migration. Guests stay in one of 22 exclusive oceanfront suites that are nestled in the canopy of the coastal forest just a few steps away from the secluded white sand beach. Natural materials blend with elegant furnishings over a small footprint. The resort offers several stylish guest areas including a beach bar with boma, various pool decks, a reading room and a restaurant serving authentic Mozambican cuisine. Southern Mozambique has a tropical savannah climate. Winter months (June to August) are dry and mild, with average temperatures between 58°F (14°C) and 77°F (25°C). The summer months (December to March) are noticeably hotter and wetter with occasional thunderstorms in the afternoons. January is the hottest month with highs averaging around 86°F (30°C). Accessibility is key in making White Pearl an easy choice for time-pressed travellers. Fly daily from London to Maputo via Johannesburg with British Airways, South African Airways or LAM. Tap Air Portugal has flights via Amsterdam. Arriving in Maputo, White Pearl is a 90-minute transfer away. Guests can also access White Pearl Resorts from Kruger International Airport or Kwazulu-Natal and combine a bush safari with a relaxing escape to the beach.